An ordinary looking three bedroom, semi-detached house on the Chequerfield Estate in Pontefract, West Yorkshire. Number 30 East Drive, which is haunted by the Black Monk and is said to be one of the most violent poltergeist cases in the world. The Ouija Brothers both go in alone at the most haunted house in Europe and possibly the world, 30 East Drive, Pontefract. Is The Poltergeist Of 30 East Drive Here? Straight after Ste finishes his lone vigil in the most haunted house in the world 30 East Drive, Griff enters and does his 45 mins all alone. The infamous black monk house at 30 East Drive in Pontefract has been voted the best paranormal hotspot of the year in the inaugural Higgypop Paranormal Entertainment Awards. Gary Jay of Curiosity returns to the home of the black monk of Pontefract 30 East Drive. We start the investigation straight away with Ste's lone vigil for 45mins in the dark to see If he can come into contact with Fred or the little girl Emily. It is one of the most famous haunting cases in the UK, but how much do you know about the paranormal activity which occurs in this ordinary residential home? Test your knowledge with this tricky paranormal trivia quiz. Has 30 East Drive Been Spiritually Cleansed By A Psychic Medium? There's been anger in the paranormal world after a psychic medium claimed to have cleansed the UK's most haunted house of its resident spirits, including the infamous Black Monk of Pontefract. I spent a night hunting ghosts in one of the most haunted houses in the UK, would I be able to catch a glimpse of the Black Monk of Pontefract? Here's what happened at the infamous number 30 East Drive. It's an unassuming, typical three-bedroom, semi-detached house on the Chequerfield Estate in Pontefract. 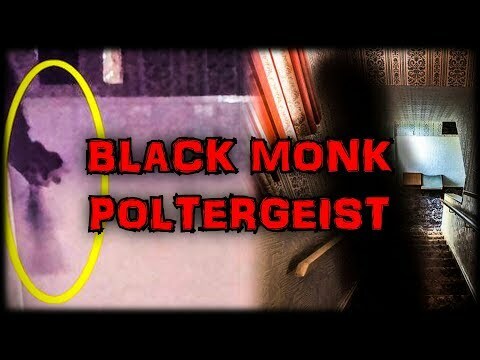 Reports of a ghost of a Black Monk first appeared in the national newspaper in 1966 after the family living in the house claimed they were experiencing poltergeist activity. We return to 30 East Drive but this time as The Ouija Brothers. 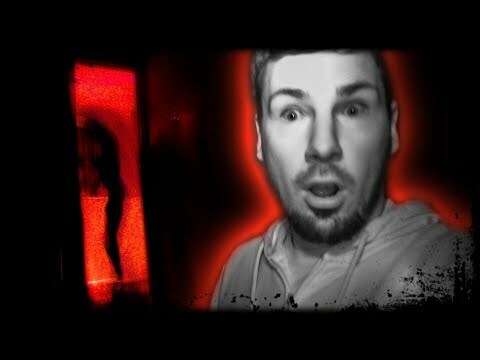 We investigate this place for 3 solid days and we capture some amazing evidence. We are joined by Kyle from Soul Reaper Paranormal. Here this clip speaks for itself as you can see beforehand Ste from the ouija brothers moves his feet on the floor and this did not effect the k2 meter in anyway shape or form. the k2 was placed against the wall at a 45 degree angle. The demon spirit of one of the UK's most infamous haunted houses has once again been terrifying ghost hunters who have been brave enough to enter. Just thought I would upload the full interview I conducted with Carol who looks after what is claimed to be Europe's Most Violent Haunting, which is none other than 30 East Drive. 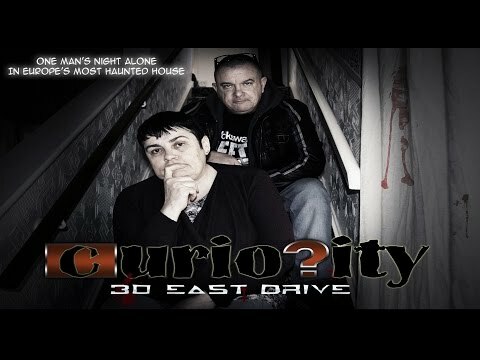 Watch as Gary Jay from Curiosity spends the night all alone with what is claimed to be Europe's most violent poltergeist in what could be the most in depth, unbiased look at this famous house which is none other than 30 East Drive. In a special two-part edition of The ParaPod, ghost hunter Barry Dodds tries to convince his co-host and skeptic Ray Peacock that a normal three-bedroom house on the Chequerfield Estate, Pontefract is haunted. The pair spend a night at 30 East Drive with the hope of meeting the infamous black monk. Was Karl From Most Haunted Really Dragged Upstairs By The Pontefract Poltergeist? There's been some backlash from eagle-eyed viewers over one particular bit of paranormal activity from this year's Most Haunted Live at 30 East Drive, Pontefract. While some viewers have criticised the moment Karl was dragged upstairs, the show's producers have come forward to defend it. For the first time since 2010 Most Haunted presents a live, interactive broadcast of an investigation. This Halloween special follows on from the two part investigation of 30 East Drive, Pontefract - home of The Black Monk. 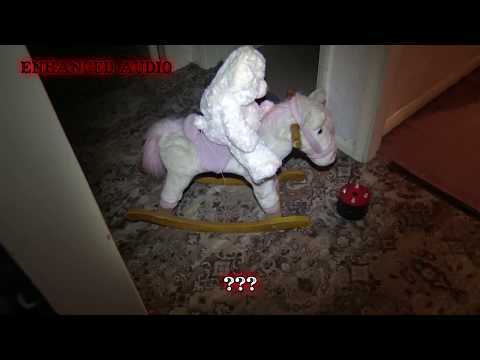 The second part of Most haunted investigation of the paranormal activity that has plagued 30 East Drive, Pontefract. Already them teams investigation has proven to be one of the most active before they've even turned the lights out. Yvette Fielding takes the Most Haunted team to investigate one of the most famous and violent poltergeist cases of all time, in an ordinary three bedroom house at 30 East Drive in Pontefract, West Yorkshire. In the first episode of The ParaPod Ray Peacock and Barry Dodds discuss one of the UK's most famous hauntings. Barry offers up evidence that the Black Monk really did haunt the Prichard's home, but will Ray believe him?